Are These America's Most Adventurous Destinations? Looking for an adventurous vacation in the U.S. this year? Chances are, you're considering one of the regions that made the U.S. Tourism Quality Index’s top sports and adventure destinations list. The survey by Resonance evaluates the performance of destinations on TripAdvisor’s Outdoor Activities and Boat Tours & Water Sports categories. Results show that Hawaii plays a significant role as an adventure travel destination. The state held the top three spots in the survey, with Oahu earning the top spot. 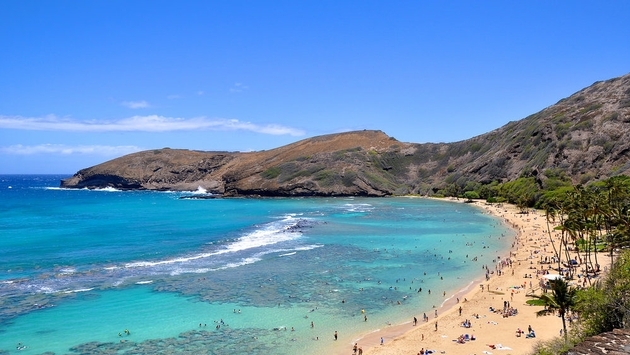 Resonance notes that Oahu’s appeal is based on its “seemingly infinite coastline” and “exploding topography,” but also praises its tourism infrastructure that continues to draw a growing number of visitors. The survey also recognized the significance of Hawaii Island’s appearance at the top of the list. “As you’d expect from a place that [almost] gives you the world in a day, the few visitors who venture to this youngest [and most geologically active] of the Sports & Adventure Hawaiian Islands, can’t wait to share their discovery,” Resonance says in its analysis. Hawaii Island has continued to develop its sports and adventure culture, constantly providing guests with more ways to engage in local culture, culinary traditions and adventure sports. From bucket-list experiences such as swimming with manta rays off the Kona coast to zip lining, hiking, stand-up paddleboarding and more, the island continues to innovate at every turn. The U.S. Tourism Quality Index survey lauded a few other destinations, noting that many places are popular with adventure travel for their offerings related to specific pursuits: Tampa and Saint Petersburg, Florida, for example, are popular primarily for fishing and boating excursions. Miami’s most popular adventures overwhelmingly have to do with travel to the Everglades. READ MORE: What's Trending in Adventure Travel? One of the biggest takeaways from the list is that adventure and sports travel in the U.S. overwhelmingly seems to gravitate toward the ocean. Just two of the 20 destinations on the list aren’t coastal outposts—and if you count large bodies of water, there’s just one: Las Vegas. Clearly, Americans enjoy their water sports. While Hawaii is a truly adventurous destination and worthy of its status on the list—as are many others—we couldn't help but note there were a number of key names missing from the analysis. What do you think? Did this list miss out on any notables or was it just right? Feel free to weigh in in the comments section!